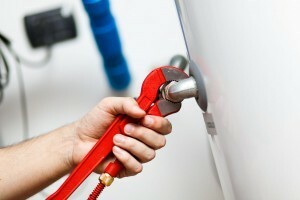 Is your water heater failing to consistently deliver hot water? Do you see water leaking from underneath the tank? As a homeowner, tenant or residential property owner, the last thing you want is a major plumbing problem that can cause leaks and even mold or structural damage to your home if not cared for quickly. We work with homeowners, property management companies (such as condominiums & apartment complexes), hotels/motels, multi-unit housing companies and homeowners associations. We also provide service to commercial customers who require larger scale equipment and support. We provide extraordinary plumbing services from simple repairs to complex installations. Our technicians are neat, efficient and highly skilled, as well as qualified to evaluate and answer your questions. Contact Watertight Plumbing & Heating for service that has been trusted for years. Call our local office number listed above.